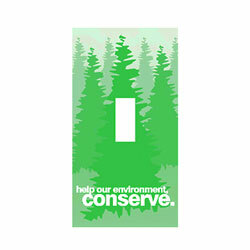 2 Color Green and Blue imprint on white sticky back vinyl. 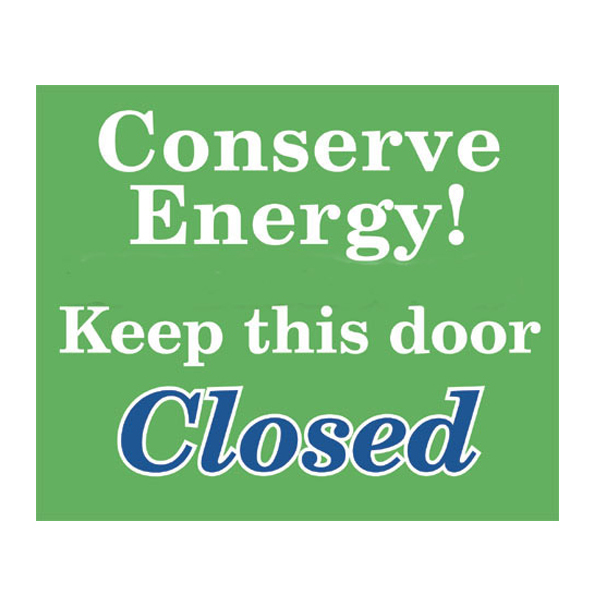 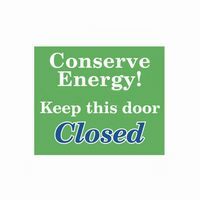 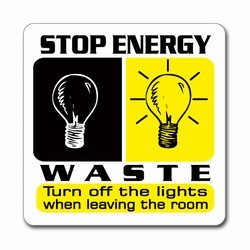 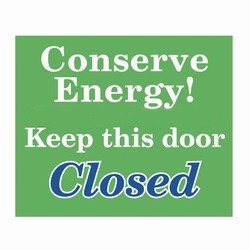 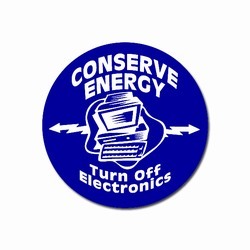 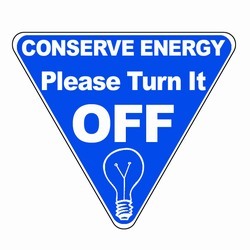 "Conserve Energy! 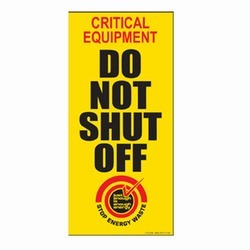 Keep This Door Closed."